Many people today are intrigued with the idea of becoming a landlord. It sound like an awfully simple way to make money: Owning property, renting it out to tenants, and collecting rent payments. The truth is, it can be an extremely profitable venture, or it can be a big mess. In this article, we look at what you need to do to become a landlord. Please CLICK HERE to watch on You Tube. An individual who is purchasing rental property for the purposes of income has a long road ahead of him, and he should be involved every step of the way to ensure that his investment turns out well in the end. The first step in figuring out if you’re ready to own investment property is to ask yourself how much money you have to pay up front. Buying your own home can require costly down payments, but investment properties generally require that plus much more. You may very well have to come up with not only the down payment on the property, but also the cash needed to bring the place up to rental standards. Remember, if it were your home, you may accept a few shortcomings but for a rental property, tenants are very demanding. Unless the place you purchase has been a rental before, expect to be shelling out quite a bit of cash upfront. Keep in mind, there are loans available for those buying rental properties. But rates and terms for investment real estate loans are harsher than those for private homes, since lenders believe there is not as much emotional investment for the borrower, and so their loan is more at risk. It is easier to walk away from a rental property than a home if things go bad. Explore your options and check into a few different lenders, trying to get the best loan rates you can. It may not be easy, but if you are not planning to back down from the task, you will not be wasting your time. Persistence is the key to getting financing. Once you manage to get your property renovated and you’re ready to go, you’ll face the issue of finding good tenants through the screening process. You can certainly hire a property manager to help you out here, as well as to deal with repairs that come up later, but most small landlords are much better off doing this process themselves. Screen tenants carefully and don’t let emotional involvement get in the way. Set some standards regarding credit reports and income, and stick to them regardless of who walks in your door. Don’t expect to make a profit at first. Your rate of return is going to be small, even if you have done the math and figured out your rent cost as carefully as possible. Also prepare yourself for unexpected repairs which are going to bring down your profit margin and require some work on your part. The first three years of a rental property are, typically, the shakiest. 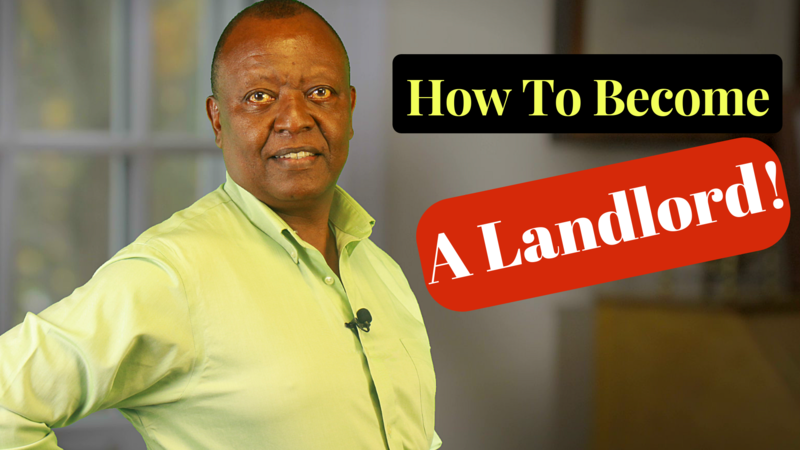 If you’re committed to being a landlord, you’re not afraid to roll up your sleeves, and if you’re planning to stick with it, you can reasonably expect a decent profit at some point in the future.